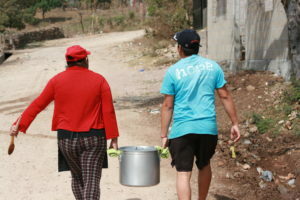 Hope Feeding in the Streets Program feeds children in the public school and the streets of Nueva España a hot meal Monday through Friday. In January 2016, we began feeding 300 more children each morning in the Cabañas area. 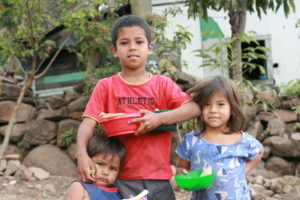 We purchase all the food and supplies for this program via donations from the States. We received food from the World Food Program several years ago, but they restricted our distribution only to the children in the public school. We decided to purchase it ourselves in order to take care of those children in the streets who also really needed the food. 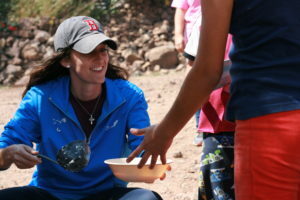 Today, we feed an average of 600 children each day.